Home / Parenting / Java for your toddler? A cup of coffee in the morning is a ritual many American adults participate in, but what about their children? A recent study from Boston Medical Center found that approximately 15 percent of two years olds consume up to four ounces of coffee a day. Researchers were studying infant weight gain and diet by looking at 315 mother-infant pairs and the consumption of breast milk, formula, water and juice. In the process, they found that many women reported giving their children coffee to drink. Consumption by one-year-olds was reported as 2.5 percent but increased to just above 15 percent for two-year-olds with the average daily consumption of these children being 1.09 ounces. Children of Hispanic mothers were more likely to drink coffee than those of non-Hispanic mothers. 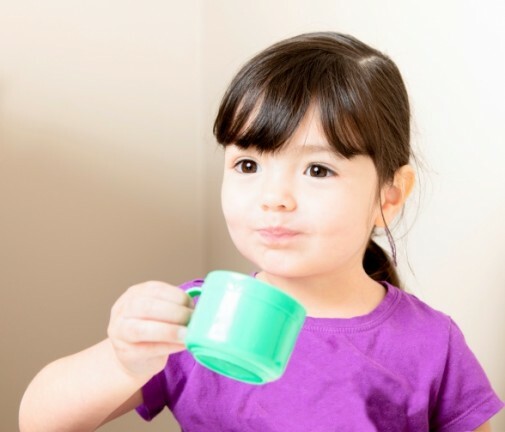 Additionally, female children were more likely than their male counterparts to drink coffee. What do pediatricians think of this news? And I thought a sugar rush was bad i can only imagine the damage a kid can make after some expresso shots. Well, when I was a baby I could not tolerate cereal. My mother, in some type of last resort experiment tried coffee and the rest is history. I’m still here in good health at age 76, of normal height and enjoying an active life. So I say it all depends on who you are and what you can tolerate. One shoe size does not fit everyone. I like mine with cream and a little sugar, thank you.